GreenSmart series rainwater diverter valves are designed for rainwater/storm water diversion purposes in Alternate Nonpotable Water Source Reuse systems where large flow rates are required. Not approved for sanitary drainage systems. IAPMO tested and listed (PENDING), IGC 352-18a. 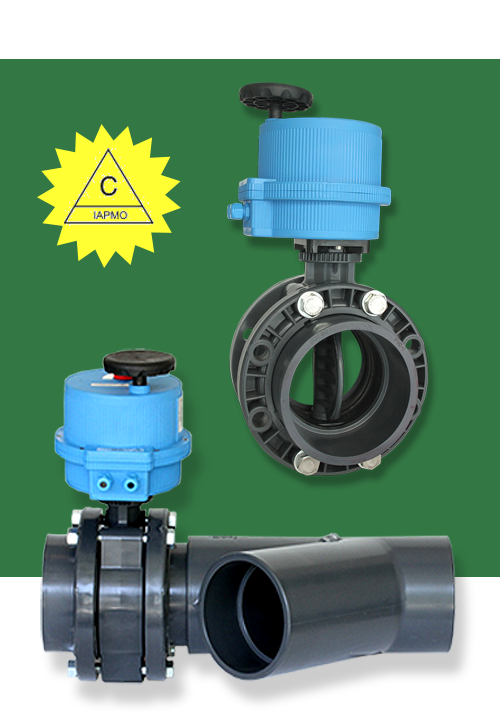 All valves are electric actuated, UL Approved low voltage 24vdc. Valves come with Fail-Safe rechargeable battery back-up as standard and can be wired to work with float switches, alarms, automatic diversion, control panels, LED’s, smart apps. Etc. A debris-filtering device installed upstream from the valve maybe required. Check with your local authority having jurisdiction. Cycle Times 6″ vB1 10-27 sec. 8″ – 12″ VB270 50 sec. Diverters will ship in kit form, wye, and valve body, not assembled. Valve, actuator, and battery back-up will be pre-assembled at the factory. IAPMO Tested and UPC Listed.